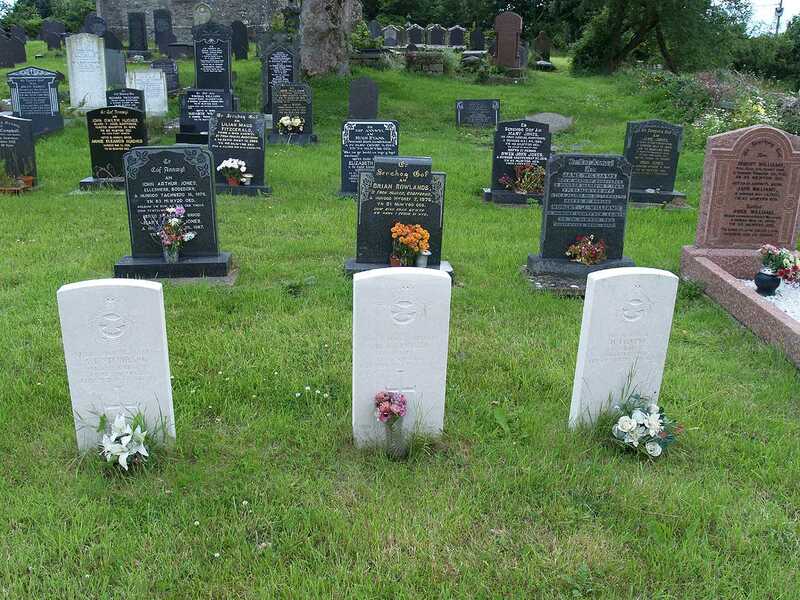 War Memorials on Anglesey, in North Wales. 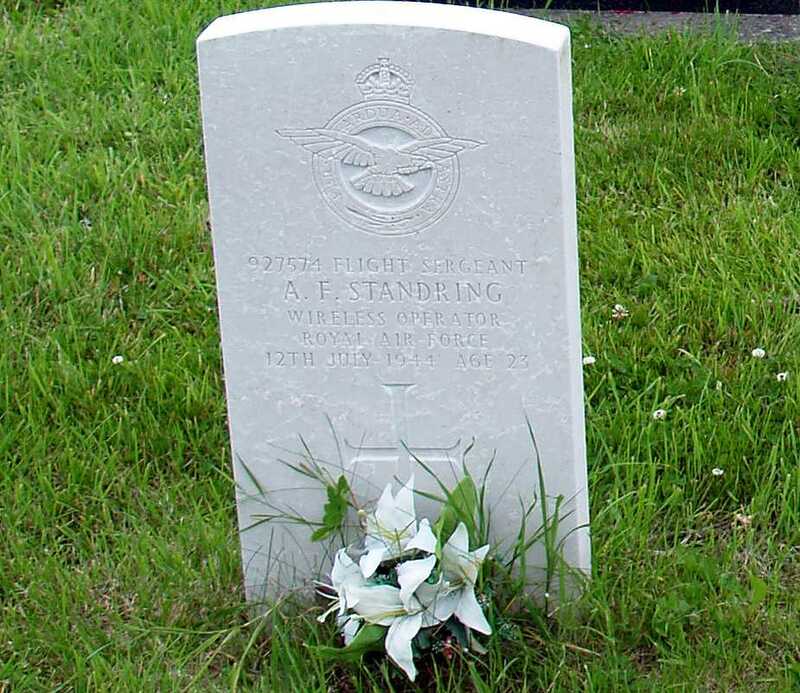 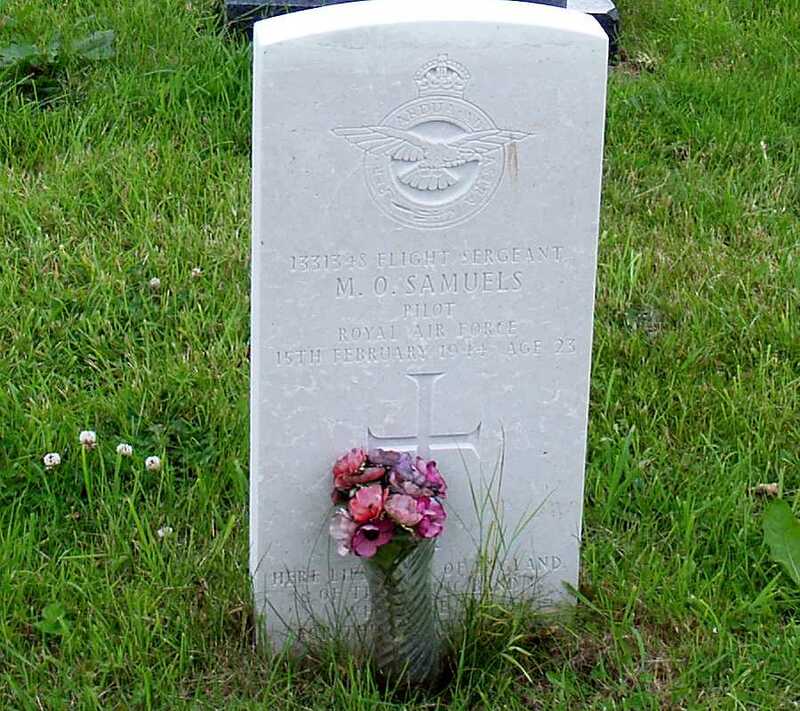 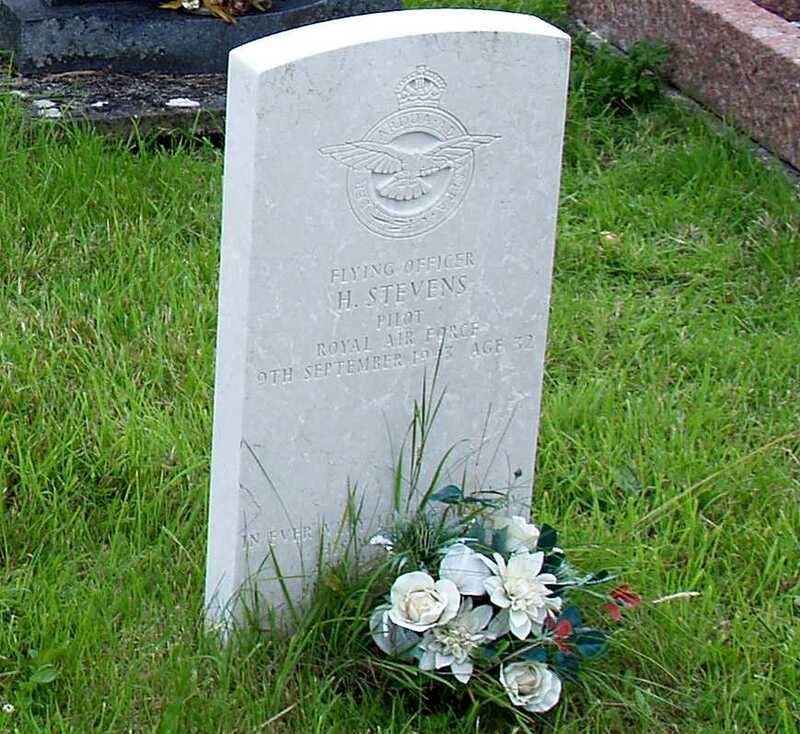 In the churchyard of Heneglwys Church in Bodfford there are a row of three commonwealth war graves commision memorials to three aircrew who died - probably in accidents - whilst based at RAF Valley. 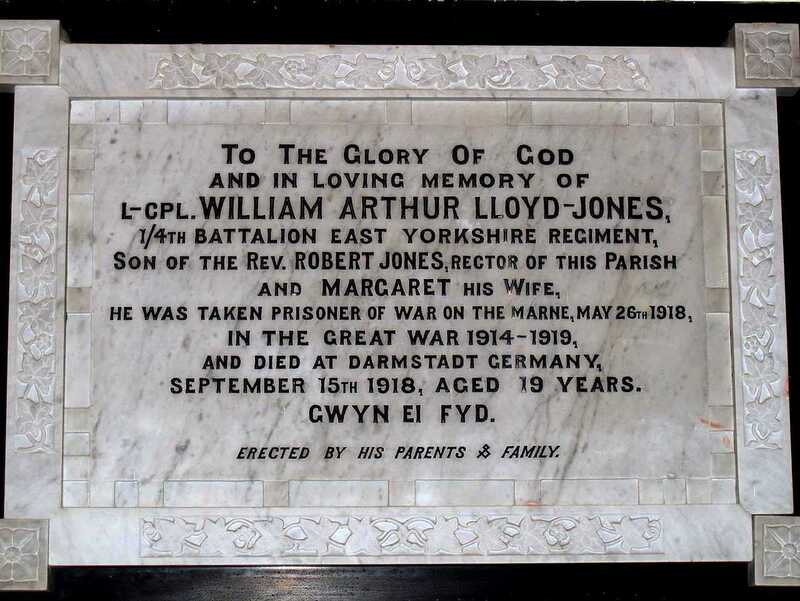 Inside the church is a memorial to Lance Corporal William Arthur Lloyd-Jones who served with the East Yorkshire Regiment. 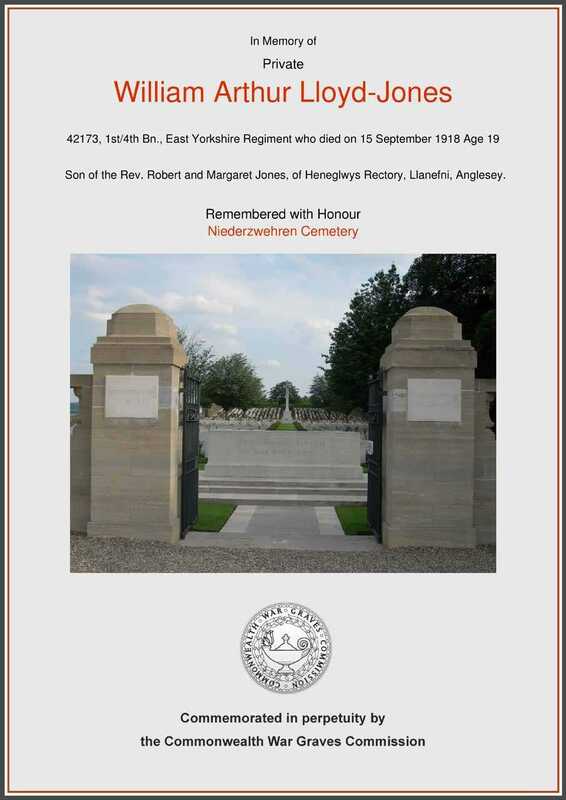 He was taken prisoner of war on the Marne in France, and he later died in Darmstadt prisoner of war camp in Germany - he was aged just 19 and was the son of the rector of the church in Heneglwys - Reverend Robert Jones and Margaret his wife.